It's summer, we are all about the healthy living right?!! 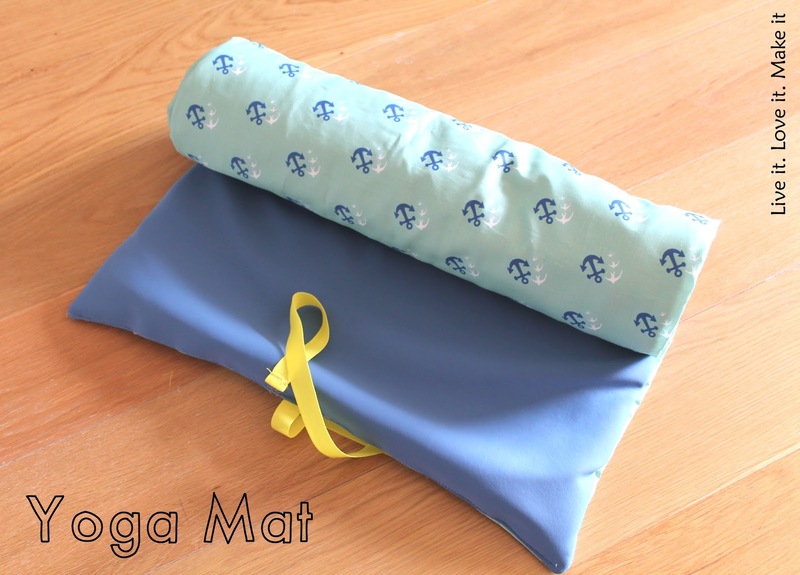 So we thought that a tutorial to make your own Yoga mat would be a great idea! It can also be used as a blanket for a picnic, don't worry. It really is a simple project that can be done in a few hours, it just needs a bit of space to lay it all out and to use it of course! So lets get H to talk us through it. You will need: Fabric for your front and back (I used my fabric I got printed from Zazzle, see the post here & some neoprene I got from The Cloth House - a great remnant find! 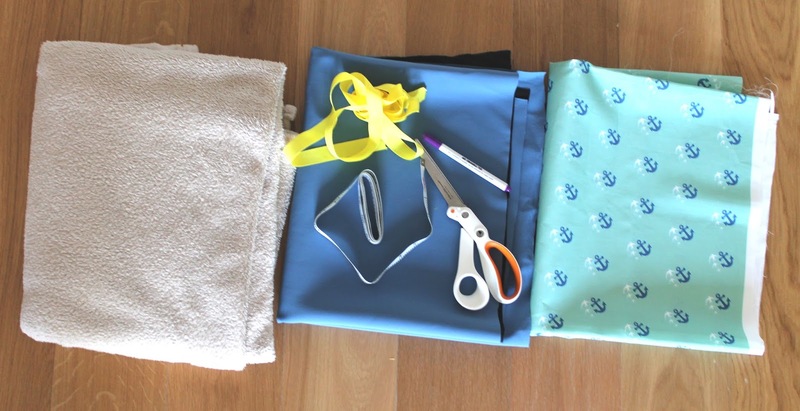 ), Something for padding - I used an old blanket, but old towel or wadding will be good too, Scissors, tape measure, air erasable pen, Webbing or anything to make a strap, a sewing machine and thread of course! 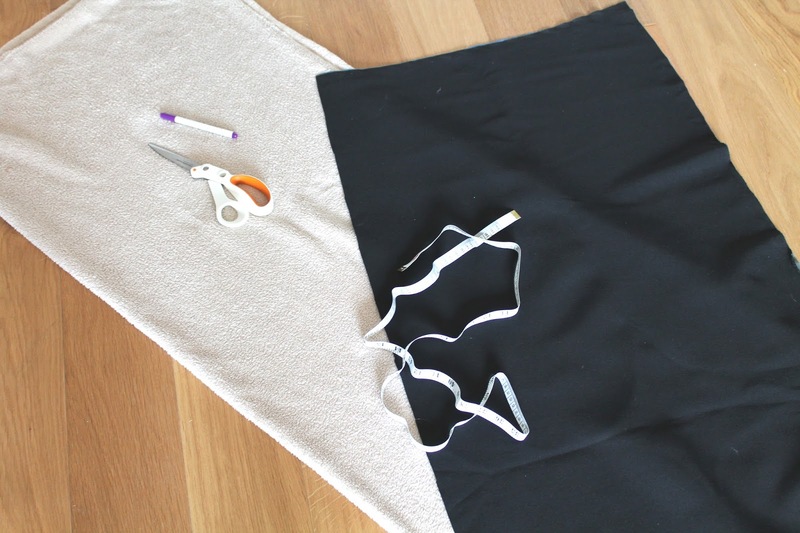 First thing you will need to do is make sure your fabric is all cut to the same size. As I mentioned above my neoprene I used for what will be the floor side, was a remnant, so it's always good to check that the size is correct. Also this restricted the size of the mat, but you can make it as long or wide as you like. 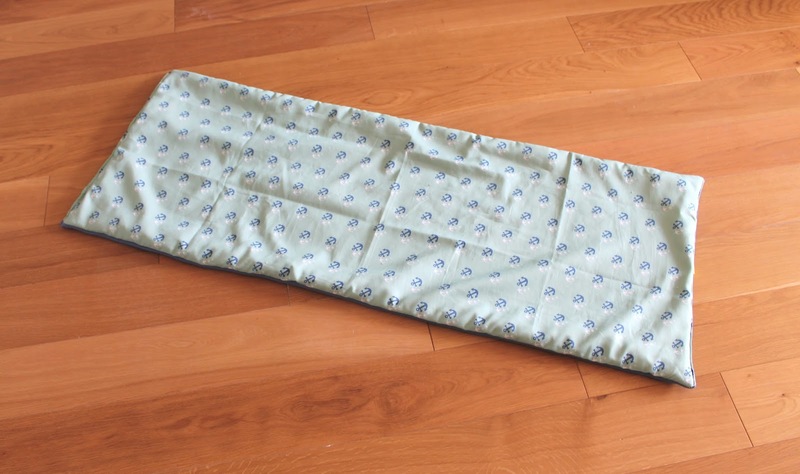 Mine comes to 50cm x 132cm and so a little smaller than normal yoga mats (roughly 170 x 60cm) but it suits my needs. 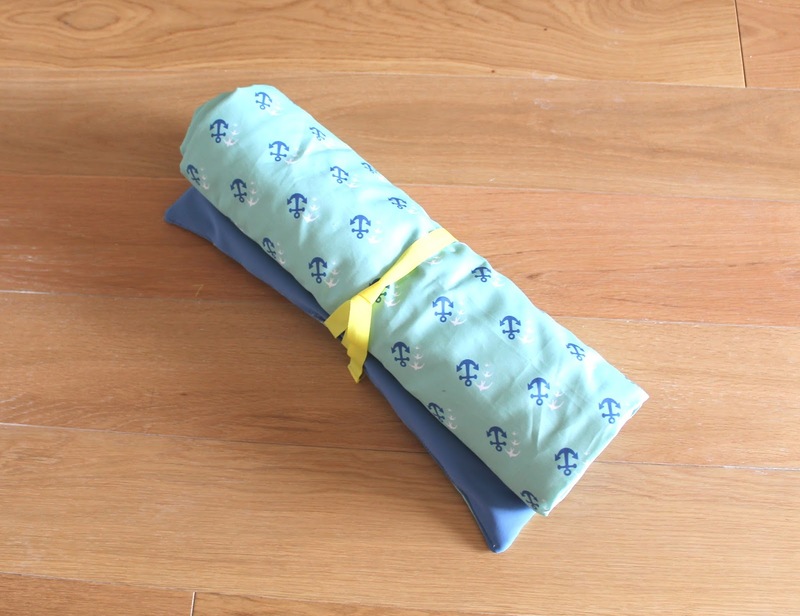 I doubled over my blanket for extra padding as I find yoga mats are not quite as thick as I would like and so I thought it would be useful to have double thickness. That's the great thing about making things yourself, you can get them to suit your needs. Once they were all cut to the correct size, I layered them together. As I will be turning this through to get a nice clean edge, you want to get the layers in order. So, both of your eventual outside pieces need to face each other right sides together. 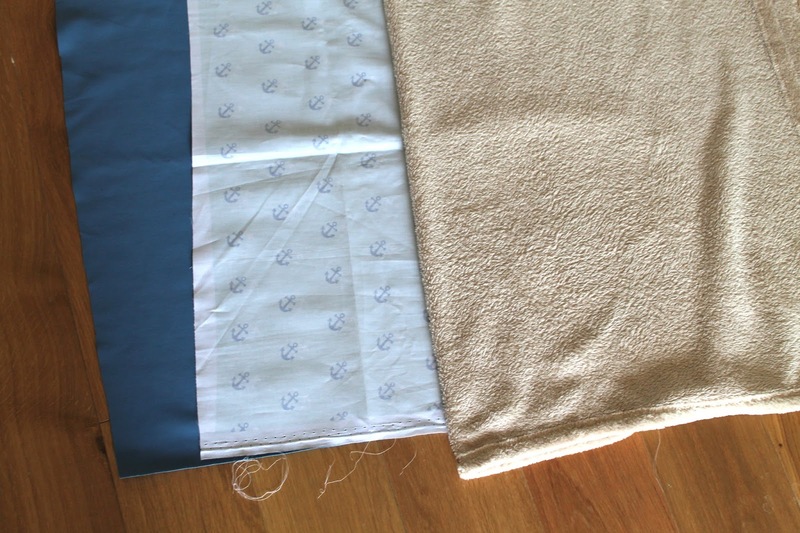 Then on top of one of these pieces (doesn't matter which), you add your padding. 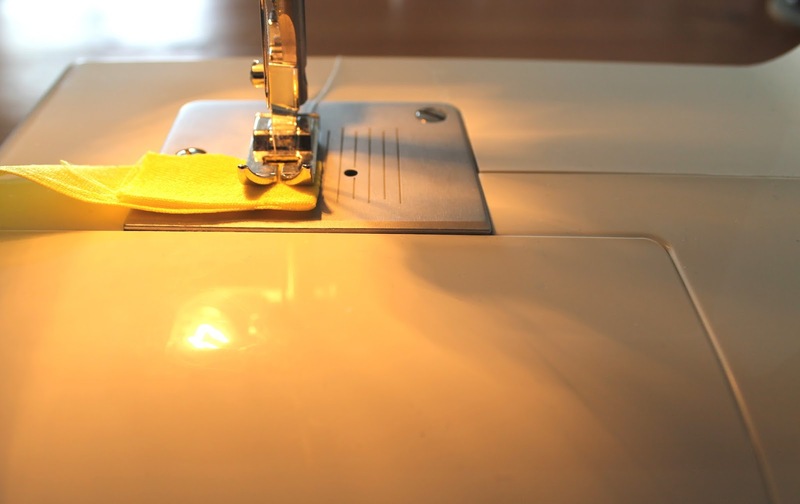 Then all you need to do is pin or tack all your layers together so that they don't slip when you are sewing. This is where starting out with all your layers the same size really helps as then you can keep it all straight along the way. Now, it's off to the sewing machine to get started stitching. I opted for a zig zag stitch as I felt that it would keep everything together better and be a stronger stitch. 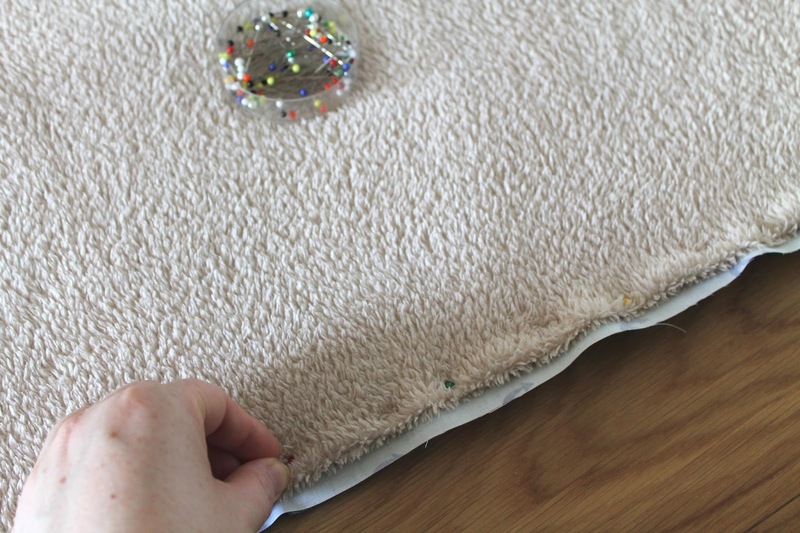 I also used a heavy weight needle (see our sewing tips basics for further information on choosing a needle) as I had to go through 4 layers of fabric including that blanket! 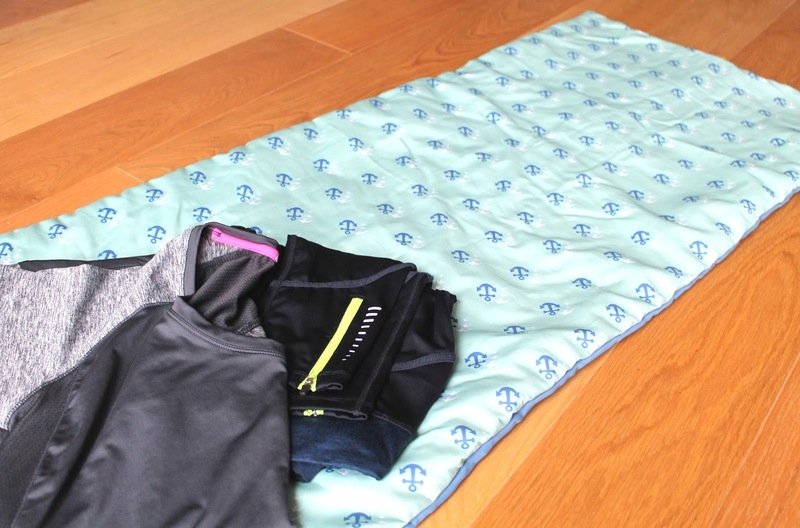 All you need to do is make sure one end of your yoga mat is left free so that you can pull it all through the hole. I sewed halfway along the last end and so I already knew where to tuck it all back in once it was pulled through. 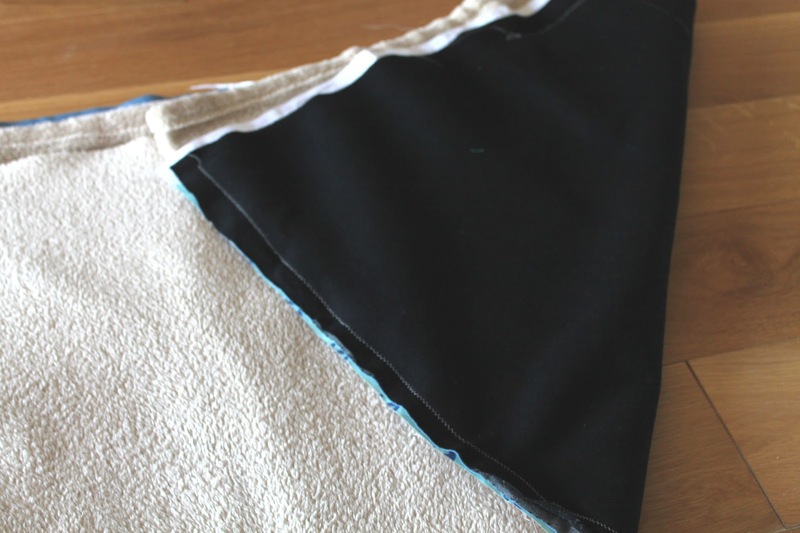 I also then cut off the corners of fabric, so that for the next stage the corners would go to a point. So, the fun part. Pull it all through so that you have it all right side out! Use a crochet hook or something to poke into the edges to get crisp corners. This is where those corner cuts will come into play as there will be less fabric to go into the corners so you can get a crisper point. Time to sew it up! Also I added a strap here so that you can tie it up for storage/carrying. It's just out of shot here which is super useful I know. I just added some yellow webbing into the gap and then sewed it all up together. I opted to use a straighter stitch for the edge here and then I decided to do the same on the other end of the yoga mat so that they matched up. 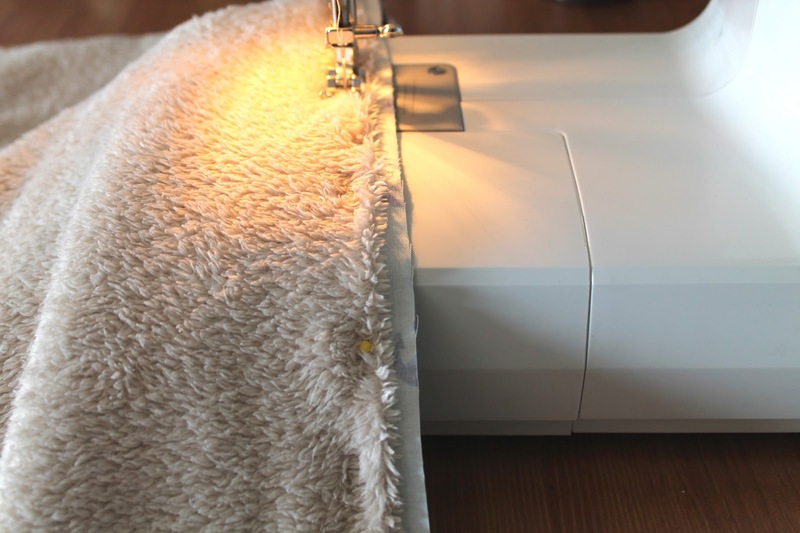 You could also use an invisible stitch so that you cannot see the stitching here or anywhere on the mat as it will all appear to be inside. 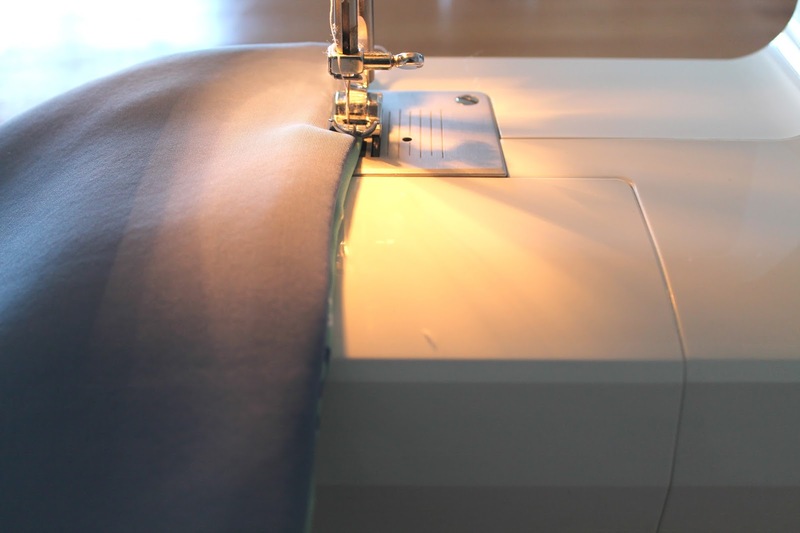 Check out our Sewing Machine foot guide for further information. 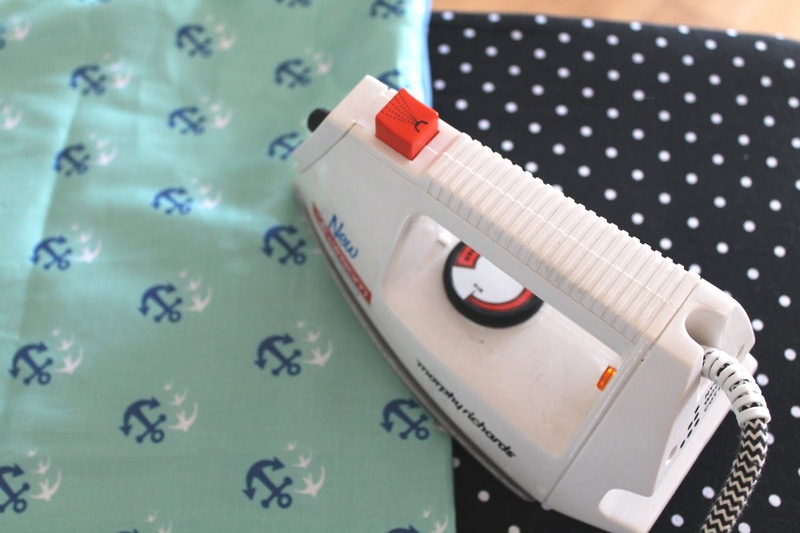 Then I pressed everything - my most hated part of sewing - hate ironing! Just to make sure that it all sits in place and I am all present and correct before thinking I am done. The last thing I did was to finish off the webbing, by folding it over and using a zig zag stitch to keep it from fraying. Then, that's it done! 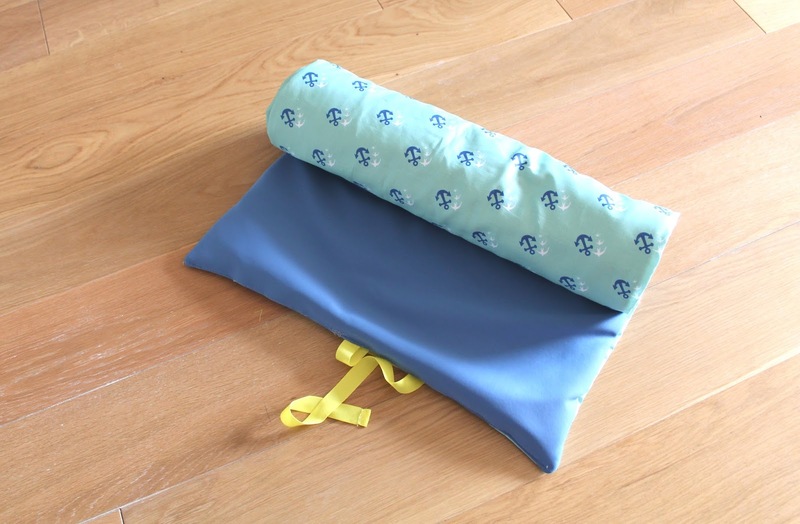 You can now use it or give it as a gift if you know someone who likes yoga or wants a small blanket for out and about. You could always make a squarer version which would probably be a bit more suited for that. The good thing about it, is that when it is fully rolled up, it can be used as a pillow too! Handy to have about for picnics or the odd nap. 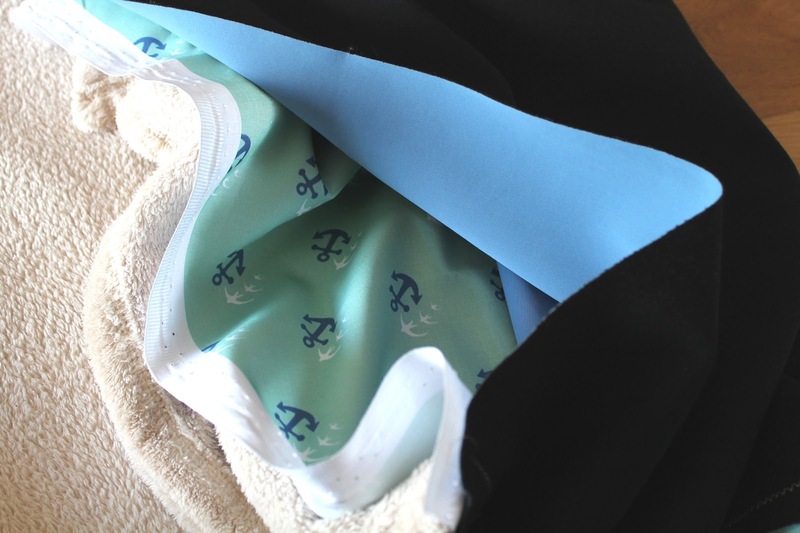 You can use so many different fabrics for this too and so it can be thicker or thinner depending on what you use and your plans for what you are going to use it for. Perhaps use some waterproof material for the backing or use an old yoga mat for the filling if you want it to be a bit more sturdy. I am going to use mine for the Pilates I have been doing and a bit of restorative Yoga, apparently its good for calming the body and making sure you relax. Would you use yours for Yoga or picnics, or both! That's probably the plan for me, gotta love a dual purpose object.